Estonian Dugout Canoe Society NGO (MTÜ Eesti Haabjaselts) and URALIC Centre for Indigenous Peoples’ Development (MTÜ Põlisrahvaste Arengu Keskus) submitted on October 10 a letter to Mr. Indrek Saar, Estonia’s Minister of Culture, with a request to support the nomination of Soomaa dugout canoe building tradition into the UNESCO Representative List of the Intangible Cultural Heritage of Humanity. Reasons for enlisting Soomaa dugout canoe in the UNESCO list include the central role of dugout canoes in the intangible cultural heritage of many Finno-Ugric peoples. Hence, the recognition of Soomaa dugout canoe building tradition by UNESCO would help valorize and preserve this intangible cultural heritage not only in Estonia, but also in Russia. The skill of building dugout (alternatively: single-log) canoes (in Estonian: haabjas) is an important part of the intangible cultural heritage of Estonia’s Soomaa region and more generally of the Pärnu river basin. 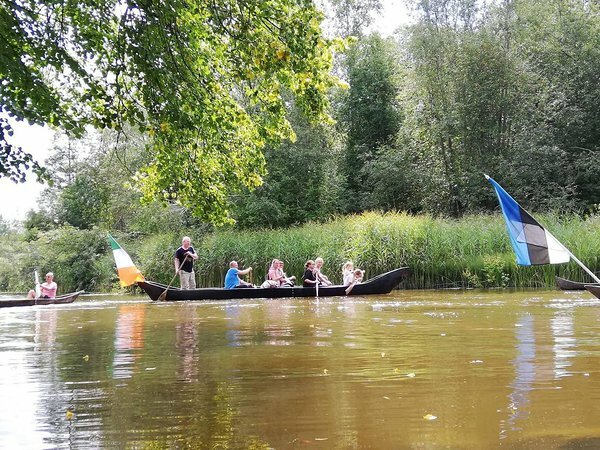 At the initiative of Estonian Dugout Canoe Society NGO (MTÜ Eesti Haabjaselts), the building of Soomaa dugout canoes has been included in the Estonian national register of intangible cultural heritage. Additionally, Soomaa dugout canoe building represents a broader tradition of dugout canoes shared by many Finno-Ugric peoples, including Vepsians of Leningrad Oblast (Vepsi Les National Park), Khantys in the Khanty-Mansi Autonomous Region and Maris in the Mari Chodra National Park. Building of dugout canoes is a key part of the ancient intangible cultural heritage of these peoples and the entire Finno-Ugric world, requiring additional state protection in order to ensure the preservation and development of this tradition. Hence, the tradition of building of dugout canoes across the entire Finno-Ugric world deserves a place in the UNESCO Representative List of the Intangible Cultural Heritage of Humanity. 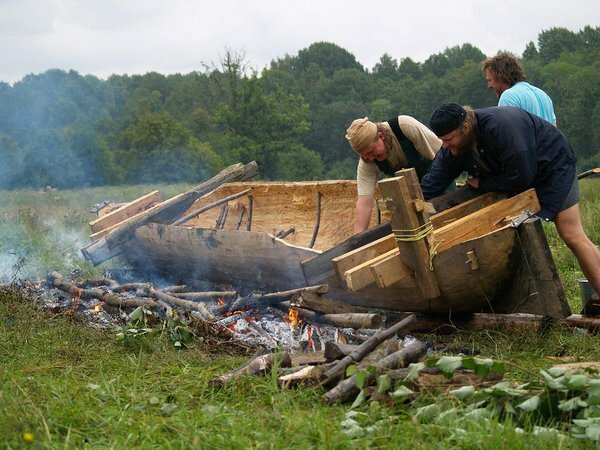 Since, however, the Russian Federation has not ratified the UNESCO Convention for the Safeguarding of the Intangible Cultural Heritage, Finno-Ugric peoples of Russia currently do not have an opportunity to nominate the tradition of building dugout canoes into the UNESCO list. For that reason, Estonian Dugout Canoe Society NGO and URALIC Centre for Indigenous Peoples’ Development have proposed to Mr. Indrek Saar, Estonia’s Minister of Culture, to support the nomination of Soomaa dugout canoe building tradition into the Representative List of Intangible Cultural Heritage, keeping in mind the importance of this tradition for both Estonia and its kindred Finno-Ugric peoples. Recognition of Soomaa dugout canoe tradition by UNESCO would motivate carriers of the dugout canoe heritage among Finno-Ugric peoples of Russia to seek additional recognition and support on both regional and federal levels and would create new, including international collaboration opportunities between builders and popularizers of dugout canoes. This initiative is especially timely, given the upcoming 8th World Congress of Finno-Ugric Peoples that will be held in Tartu, Estonia in 2020. This would be an excellent opportunity to publicly announce a milestone related to the journey of Soomaa dugout canoe to UNESCO – e.g., the submission of the nomination on behalf of Estonia to UNESCO.